Mill Lane Studio: Bubble and Squeak! OK, so these aren't the greatest colour combinations, but I'm sure that they can be made into something - they are, after all, backgrounds! 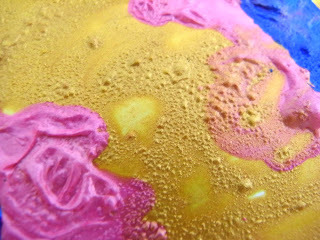 But have a look at the great texture you get when you apply heat to the paint! This is such an easy technique: mix powder and solution; apply with cotton bud; heat to bubble; and then go "Wow!" Wow, they make "solution" for this now? I used to do that with white glue! Works just as well :) and yes, I agree, the background made that way are absolutely fantastic!!! Have fun at your class, I love the backgrounds!!! Yes this is just like the Heated Pearls technique..... but I really LOVE the intensity of the colours when it's done with Polished Pigments! 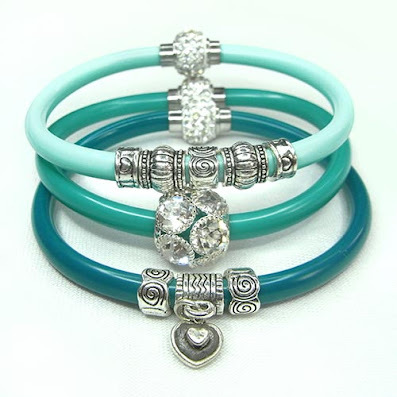 Blue and green - with a twist!